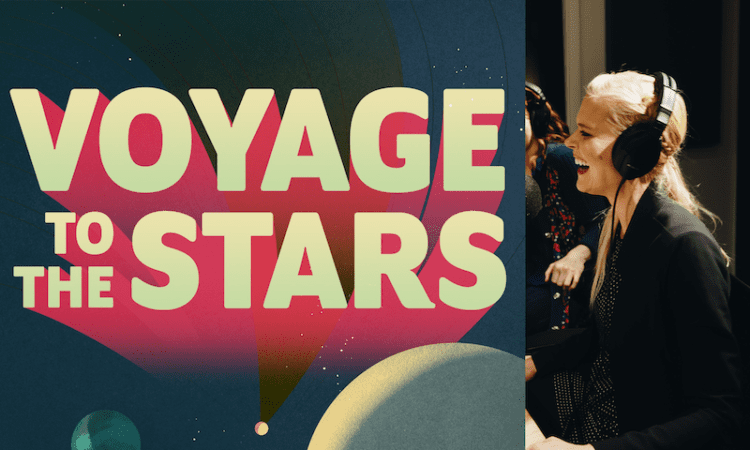 Buckle up and get ready to blast off on a wild ride through outer space with a brand new podcast; Voyage to the Stars. The show features a stellar cast including Colton Dunn (Superstore, Key & Peele, Parks & Recreation) as a wholly unqualified Captain Tucker Lentz, Felicia Day (The Guild, Buffy the Vampire Slayer, Dr. Horrible’s Sing-Along Blog) as scatterbrained scientist Elsa Rankfort, Steve Berg (The Good Place, Tag, The Goldbergs) as apathetic technician Stew Merkel, and Janet Varney (You’re The Worst, Stan Against Evil, Key & Peele) as the misanthropic A.I. aptly named Sorry. The new series is a weekly 17-episode, improved podcast which tells the misadventures of this group of misfits who accidentally find themselves on the wrong side of a wormhole. Their mission: try not to blow up the galaxy in their attempts to return home. 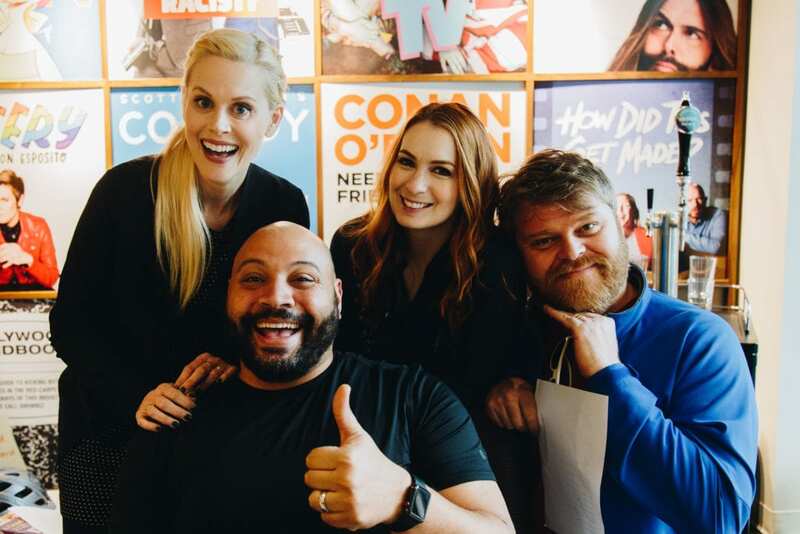 We recently had the pleasure of chatting with the delightful Janet Varney about the new series, and all that went into creating this unique listening experience for audiences. 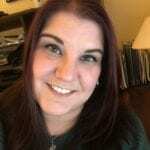 Denise Caputo: Before we get into talking about Voyage to the Stars, which I’m super excited to talk to you about, I just wanted to take a moment to congratulate you on three amazing seasons of Stan Against Evil. We, at Fan Fest, have been a huge supporter of the series from the very beginning. It’s a real bummer, but I hope you guys are proud of it. I know your fans loved the show, and I just wanted to take a moment to tell you that we, as fans, appreciated the series and everything you guys did. Janet Varney: Oh, thank you! Thank you so much. We loved doing it, and Dana [Gould] had even said, “how did we get away with doing three in the first place,” because it was so bonkers. We were just happy to do what we did, and I think that it definitely did what we wanted it to do. It was a blast! I will not miss wearing the high-waisted, polyester pants in the sweltering Georgia heat though. So that part, at least, I can celebrate a little bit. But hopefully, Dana and I will get to continue to work on more stuff together, because he’s just the best. 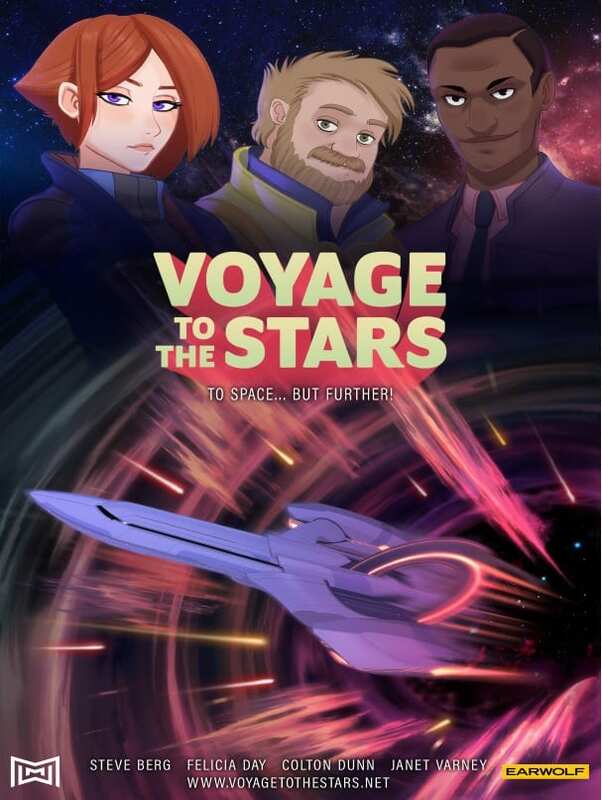 DC: That would be great, and now you have this awesome new podcast premiering on February 12th called Voyage to the Stars which just seems fun. What can you tell me about the podcast, and what can listeners expect when they tune in? JV: One thing that has been the most fun about it for me is playing with the format that we’re using. If people are familiar with Christopher Guest movies, there’s a similar device happening in Voyage to the Stars, which is that it is absolutely improvised. It is very much of the moment, and I think that energy comes across in the show, but it is also very tightly outlined. I’ve worked with the show’s creator, Ryan Copple, on several occasions, and he has this sort of love of and the interest in paying homage to some of these great Sci-Fi adventure stories that so many of us love. Also, he’s a huge comedy fan and wanted to bring out the kind of spontaneous comedy that comes out of improv. So we have a very specific set of things that we want to express, and exposition, and storytelling, and art, and all of that good stuff that I think sometimes improv is lacking. It can be very hard to build that foundation while you’re coming up with things off the top of your head with people who you haven’t discussed anything with in advance. With this show, you kind of get the best of both worlds. You have something that is a very specific story to tell, we know what planet we’re going to in an episode, we know what is the planet is like, or what’s going on, or what characters we’re going to meet. 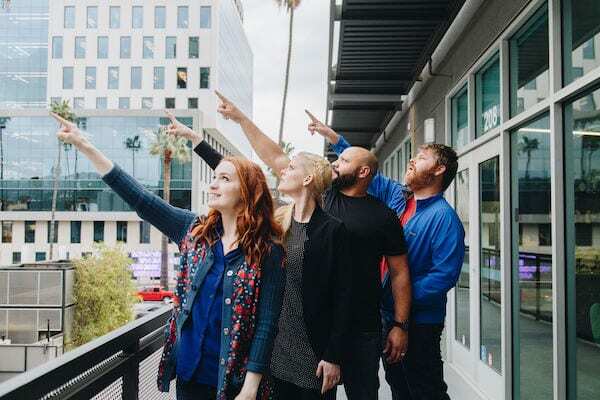 But we can flesh out all of that stuff, in terms of how we describe it, and the elements of comedy that each person is bringing to the table as we’re working cooperatively. It doesn’t just kind of go nowhere. It has a very specific arc that it’s following, and I think that was what was so satisfying to me. It was something that was intimidating to all of us at first, because it’s almost like you’re using different parts of your brain when you are say, reading dialogue on a script, where everything is sort of mapped out for you, versus coming up with stuff out of thin air. Combining those two forces, and finding out how to walk along that tightrope was exciting. What seemed really intimidating at first, turned out to be one of the most very satisfying things about doing the show. DC: That’s awesome. I didn’t realize the whole thing was improv so that just makes it that much more interesting to me. You guys are so talented. You play an alien A.I. named Sorry, who’s the control center for the whole space ship, but you have some memory loss with the exception of pop culture trivia, is that correct? What can you tell us about your character? JV: Yeah. 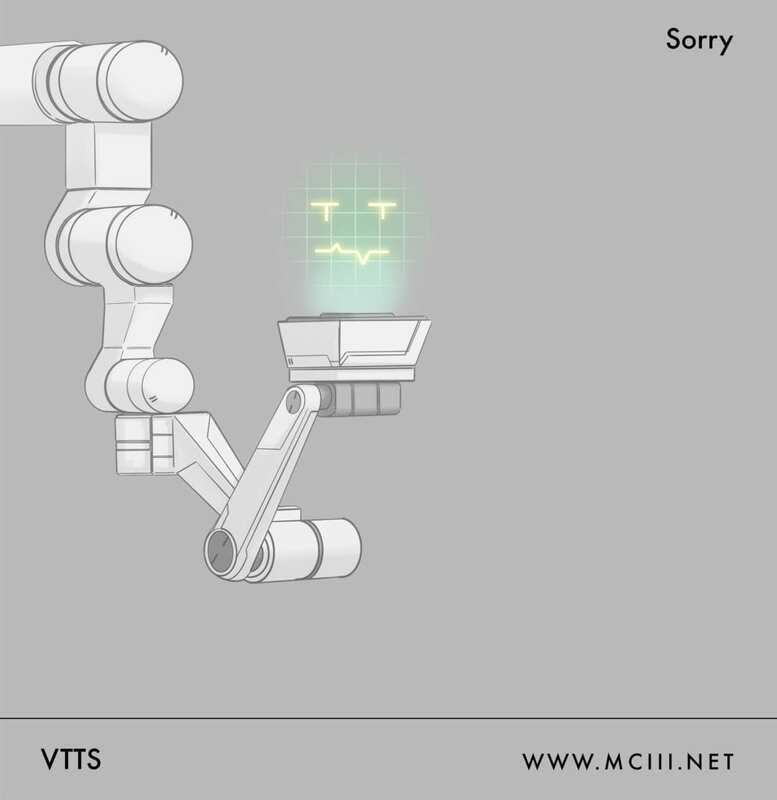 Sorry is this highly intelligent force that was not designed by humans. Most of the experience that we have with A.I. in Sci-Fi fandom, typically, has that A.I. engaging with human beings. It’s probably because it’s been designed by human beings, so there may be a certain level of servitude – not necessarily a sentient entity that is going to just pick apart why humans are dumb in the same way that something like Sorry can. It’s a struggle though because she still is designed as an A.I. to serve and protect in a way. She is the ship. She’s running the ship. She is reanimated by these humans, essentially. The relationship that she has with them is complicated because, on the one hand, she has to do what they say, right, because whoever’s on the ship is kind of who she’s serving. Does she have to keep them alive? Maybe there’s a question about that. Maybe she’s just choosing to keep them alive for her own amusement, or is she actually indentured to them? Did she have a responsibility or an onus that’s been built into her? We don’t necessarily know all of that. Then, there is this also this sadistic side of her that is interested in exploiting what human weaknesses are. Those are a few different things that she’s kind of juggling at any given time. DC: That’s crazy complicated and sounds incredible. 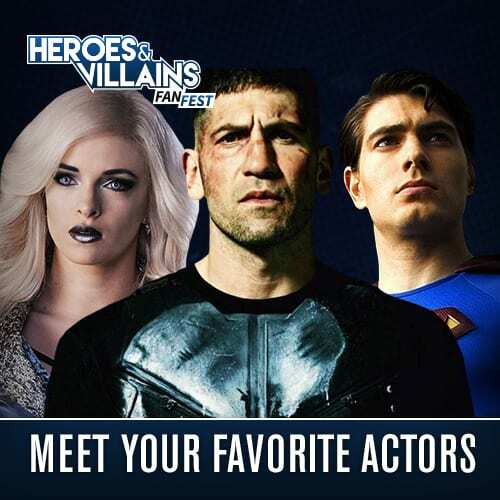 Additionally, the rest of the cast that’s involved with the show is incredible – Felicia Day, Colton Dunn and Steve Berg – plus, you have some awesome guest stars lined up as well. Being that everything is improv, I’m assuming you guys all recorded together, which is a little different than how something like animation voice over is usually done. Given the improv aspect of it all and the fact that you have such a talented cast involved, I could imagine that a recording has a great possibility to kind of go off the rails. Did that ever happen? Can you give us a little insight as to what it was like recording with the rest of the cast? JV: Oh yeah, it definitely went off the rails. (laughs) I know that in addition to the whopping 17 half-hour episodes that are going to be released every Tuesday, there’s also gonna be bonus episodes and content. I produced the show as well, but I have not been privy to some of the bonus stuff, so I’m not sure how much we’re going to be securing any outtakes or anything like that. Maybe part of that is just going to be a surprise for everybody, but there are little runs that we would get on where things just got completely goofball, crazy, bonkers, and everybody would just kind of dissolve into fits of laughter. I have a very loud laugh too. It’s funny; I remember I was doing an episode of Key & Peele once with Keegan [Michael Key] and Jordan [Peele], and in between takes I was sitting with them at this bar – it was a bar setting. Jordan said something, and I laughed, and he was like, “Oh my god. Your laugh is the most like a comic book character laugh. Like ‘Ha-Ha-Ha-Ha-Ha.’ I could see it spelled out when you say it. Do you also cry like, ‘Boohoo, boohoo, boohoo, boohoo?’” (Laughs) It’s very much from the gut. I can’t control it, and it is very loud. So I have to watch out when I’m recording full-on audio improv. If I’m not careful, I can just explode into laughter on the mic which, again, totally ruins what other people are doing. I had to learn how to take a huge step back when I wasn’t immediately needed on the mic and figure out how to laugh quietly because the content was so funny, and people were just so constantly surprising me. I really had to keep it under control. DC: And our readers can see some of that interaction on the show’s Instagram page. There are a couple of snippets of a live version of this that you did; I believe it was at San Francisco SketchFest? DC: What as it like doing this live and in front of an audience? About 20 minutes before we go on stage, I’m said to Ryan, “Hey, we probably should’ve thought of this before the live show was about to start, but I guess you’re not going be walking onto the stage and calling cut, and going like, ‘Hey guys, remember how we said we wanted to tell this part of the story? '” And he laughed, and said, “I think this is a plot where there’s so much flexibility, and there’s so much room for improv, and there aren’t as many key points to the kind of plot development that we need to worry about. I created this episode with that in mind.” And I was like, “Okay, phew!” Because it’s nice to have that person who can come in and help us to reset, or help us pick up moments that we want to make sure we get covered so that the storytelling is making sense. It was an adventure in that regard because we were just on our own up there. We had these extraordinary guest stars and Tom Lenk and Kirsten Vangsness. Kirsten had not done the show before, Tom had. He recorded an episode with us playing an entirely different character, so he at least had a sense of it. I will say that Kirsten is a friend of mine and a bit of a genius, and she just came in and blew everybody away, on stage and off. It was an experiment that I would say was thankfully a success, for sure. DC: Very cool. 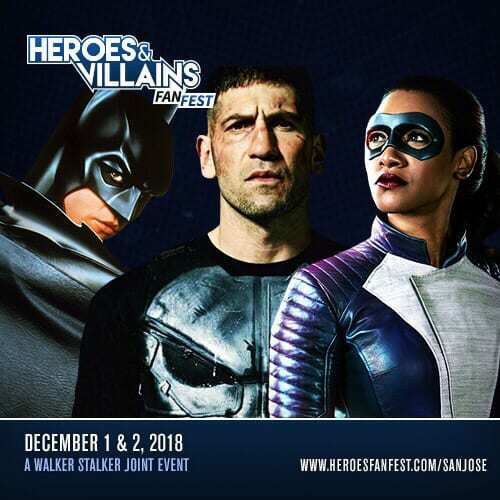 Here at Fan Fest News, we celebrate all the things that we love as fans in today’s pop culture world, whether it’s music, film, television, books, anything like that. What are some things that you love about today’s pop culture, or what are some things that you fangirl over? JV: Well, you caught me on a day where I was just having a conversation about Counterpart with a friend of mine, so I will say that I am a huge fan of that show. I love J.k. Simmons. I had the pleasure and honor of working with him on The Legend of Korra, and I just adore him as a human being, and it’s been so fun to see him play a leading man role and to play two different people who are the same person but not. I mean, that’s the kind of high-concept Sci-Fi show I love. I certainly had a similar experience with the first season of The Man in the High Castle. I cannot, necessarily, say that that sustained for me through the series as it continued. All due respect, because I don’t know that I’d be able to do it any better, but that’s just kind of what my experience with it was. Counterpart, however, I have loved from the beginning, all the way through to where it is now in its current season. I’m very worried that it might not continue, so I’m very much hoping that it doesn’t get canceled. I also just watched Russian Doll on Netflix, which was another high-concept show. I didn’t know much about it other than that I knew the people behind it and I was not disappointed. I thought it was fantastic. Those are some of the things that have kind of floated around in my mind. They all happen to have weird relationships to time and space, so I guess those are all kind of Sci-Fi in a sense. And also Killing Eve, which was very special as well, and I’m super excited about season two. DC: Awesome. One last question for you. Is there anything else you want our readers to know about Voyage to the Stars, or do you have any other projects that you’d like to share with us? JV: It comes out every Tuesday [February 12th]. If anyone is a podcast fan, they can certainly check out my own podcast I’ve done for the last six-plus years, called The JV Club. It is available anywhere people can get a podcast, and I talk to people far more famous and wonderful than myself about their awkward teenage years. It’s just something I love, love talking about, and it never fails to delight. I would say check that out, and then you can check out my digital series Fortune Rookie through IFC. It’s on YouTube, and pretty much anywhere you can find short film content. Thanks for asking! Sending a big thanks to Janet Varney for taking the time to speak with us at Fan Fest News about Voyage to the Stars. The show’s first episode drops February 12th, with new episodes each Tuesday. 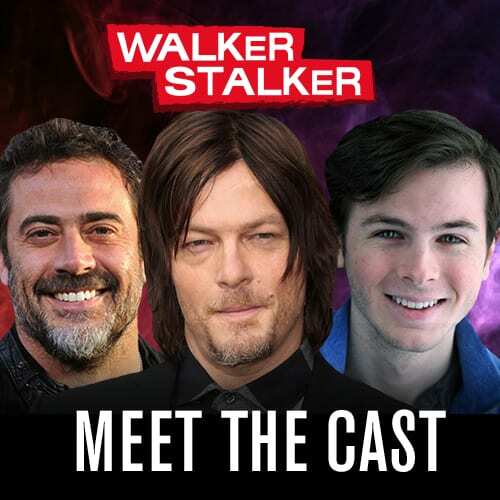 For more information about the series, you can visit the show’s website HERE.